Kverneland 7710 series are three-point mounted wrappers with a simple but very reliable way of wrapping silage bales. 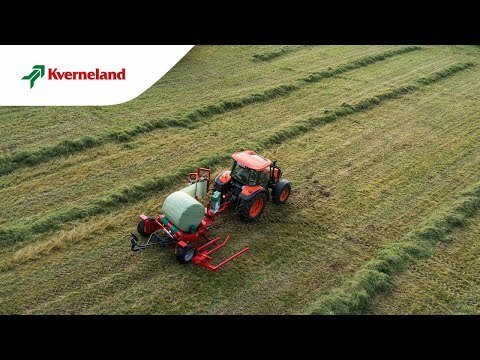 The Kverneland 7710 is ideal for ’wrap and stack’ operations. When the bale is being transported to the storage site for wrapping, this three point mounted version is the ideal solution. It can be mounted on the rear or front hydraulics of the tractor or used as a static machine with an external power pack. Kverneland 7710 models has a new feature DuoWrap twin film pre-stretcher.